The planting process is very important and should be carefully managed. Good planting conditions are the foundation of success. An even seedbed, careful seed spacing, planting depth, fertiliser placement and good contact with moist soil, create the optimal conditions for germination and early seedling growth. A uniform and vigorous plant population is the first step to optimising the yield potential. Optimum germination occurs at soil temperatures above 15°C. Good seedbed preparation always delivers dividends. In a no-till system, strip-tillage can give the advantage of a clean, warmer seedbed in the rows for quicker germination and even emergence. Make sure that the seed is in good contact with the soil. Without this, a good plant population and ultimately a good yield are not possible. Guard against planting in wet soils, which can cause sidewall compaction and inhibit the development of the roots and their access to fertilisers. Fertiliser placement below and away from the seed stimulates optimal seedling development. 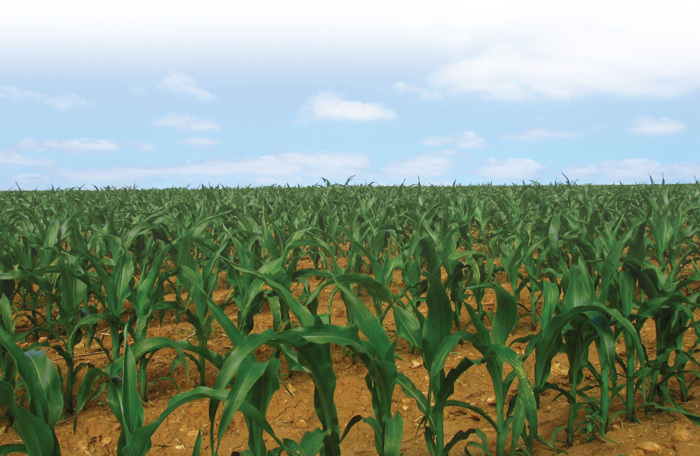 Crust formation due to a heavy downpour, especially on sandy soils, impedes emergence and it is necessary to break the crust and aerate the soil. Any form of soil compaction should be addressed. On sandy soils a rip cultivation is important to break up any compaction layers to facilitate optimal root development. Sandy soils should also be managed to limit the potential of wind damage. Weeds are the biggest thief of soil moisture. Pre-emergence weed control is essential during the first six weeks to eliminate weed competition. Apply quality control regularly – check the fertiliser placement, herbicide prescriptions, seed placement, planter speed and potential damage by soil insects. Close attention to the fine details is essential for success.